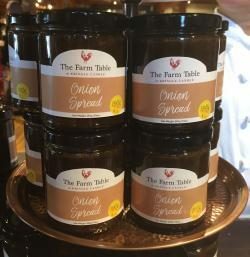 The Farm Table menu offers organic and gluten-free options with a strong focus on locally-sourced seasonally fresh foods from area growers. 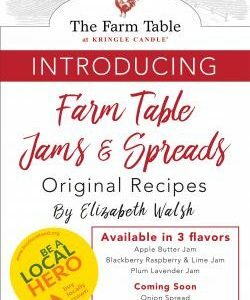 The restaurant also features its own jams and spreads that are utilized in sweet and savory menu items with original recipes by Kitchen Manager/Cook/Jam Producer Elizabeth Walsh. 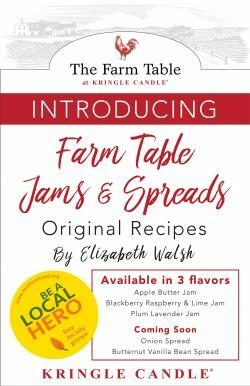 Walsh originated the idea for the locally sourced Kringle Farm Table products Onion Spread, Plum Lavender, Blackberry, Raspberry and Lime jams and Apple Butter. 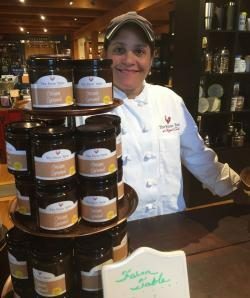 “All in all, there are 65 recipes I put together,” she said of the products, which are served on dishes at the restaurant as well as being sold at Kringle Candle’s Country Barn store. 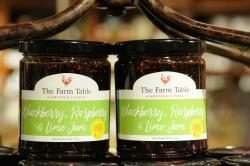 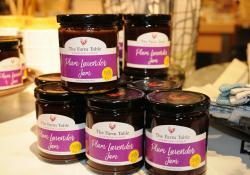 Made from produce grown at Dancing Bear Farm, Pine Hill Orchards and other local growers, the jam products are a way of showing people how the restaurant’s chefs can serve with flair local agricultural products for home use. 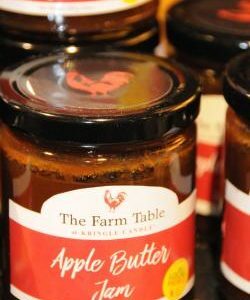 They’re so good; they are now sold in the Kringle Country Barn adjacent to the restaurant in Bernardston. 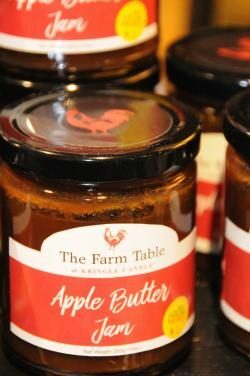 Stop by to try a sampling!